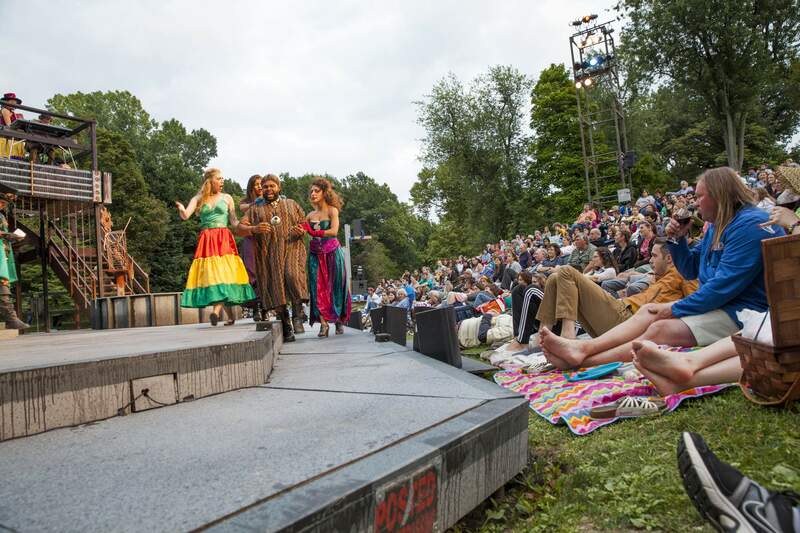 Theater fans flock to Shakespeare in Delaware Park in Buffalo, N.Y. The upstate city is enjoying a millennial-driven renaissance, with hip, affordable restaurants and bars materializing in converted turn-of-the-century buildings. Almost every travel authority worth its salt has published a list of budget destinations, and in case you haven’t noticed, there’s not a lot of overlap among those lists. The reasons: Just about any destination could qualify as budget, depending on one’s tolerance for sleeping outdoors and eating straight from a can of beans, and travel authorities take great pains to avoid parroting each other. In assembling these ideas for budget U.S. vacation spots, we stuck to places we’d actually want to go, with mid- to high-quality lodging for about $175 or less per night – based on searches for a three-night stay from Sept. 6 to 9 – reasonable proximity to a decent-size airport and a solid range of free or affordable attractions. Buffalo, New YorkThis former punchline in upstate New York is enjoying a millennial-driven renaissance, with hip, affordable restaurants and bars materializing in converted turn-of-the-century buildings, especially in the Waterfront district. Get your bearings from the 28th-floor observation deck of City Hall, an art deco marvel, before returning to level ground and strolling the Canalside waterfront park, which hosts a variety of free and cheap activities from fitness and yoga classes to drumming, live concerts and games. Also free: Shakespeare productions in Delaware Park, Tuesday through Sunday. You can find some Zen at the Frederick Law Olmsted-designed Buffalo and Erie County Botanical Gardens ($12), which feature displays on the Florida Everglades, cactuses, carnivorous plants and an aquatic garden, plus a dedicated children’s space. Another highlight of the city is the Albright-Knox Art Gallery ($12), founded in 1862 and today showcasing Robert Indiana’s sculptures, renowned art of the 1960s and works from masters including 19th-century greats such as Degas, Monet, Gauguin, Renoir and Van Gogh, as well as 20th-century giants Picasso, de Kooning, Johns and Warhol. Dine for under $10 per person at the West Side Bazaar, an incubator space for recently resettled immigrants selling wares and native cuisine. For more information, go to visitbuffaloniagara.com. Fort CollinsWith a mix of 19th-century brick facades, leafy neighborhoods, a vibrant downtown and the Colorado State University campus, all snug against Rocky Mountain foothills, Fort Collins is shaking its image as Boulder’s meek little sibling. The city reigns as Colorado’s craft beer capital, with more than 20 breweries, many offering free tours, and at least one – New Belgium Brewing – leading free outdoor yoga classes. For more information, go to visitftcollins.com. South Walton, FloridaDozens of Florida beach towns could qualify as budget. We chose South Walton – made up of 16 beach neighborhoods strung along 26 miles of barrier island between the Gulf of Mexico and Choctawhatchee Bay – because of the abundance of accessible nature. Forty percent of the area’s 56,000 acres are owned by the state and protected from future development. That includes four state parks and Point Washington State Forest, which together serve up more than 200 miles of trails, and 15 coastal dune lakes – a sand-sea-and-freshwater feature found in only a handful of places on Earth. For more information, go to visitsouthwalton.com. Tucson, ArizonaDespite rapid expansion, Tucson still burnishes an authentic Southwestern character, and it’s on full display at Mission San Xavier del Bac, a church founded in 1700 by a Jesuit, completed in 1797 by Franciscans with Native American labor and used today by the Tohono O’odham Nation, whose ancestors settled in the Sonoran Desert thousands of years ago. Walk the lively and eclectic Historic Fourth Avenue district and drop into shops featuring 1960s relics, Mexican curios, Sonoran tacos and homemade ice cream. Then peel onto the University of Arizona campus to visit the school’s Museum of Art ($8) for works from Picasso, Rothko, Hopper and Pollock, plus a full altar from a 14th century Spanish cathedral and its Center for Creative Photography, which offers exhibitions such as “Longer Ways to Go: Photography of the American Road.” The Tucson Museum of Art ($12) houses a range of works, from the expected Western and Southwestern to the unexpected contemporary and pre-Colombian. For more information, go to visittucson.org. Bath, MainePerched on the Kennebunk River on Maine’s Midcoast, the City of Ships melds a rich seafaring history with the charm of a postcard New England village – brick storefronts, wooden boats roped to docks, steeples and bell towers rising above thick stands of trees – and a small-town pace. Get salty at the Maine Maritime Museum, with its working shipyard, boat-building demonstrations and guided kayak and lighthouse tours (adults, $17.50). Easier on the wallet: attending the free concert series on summer Thursdays in the town gazebo or exploring the tidal wetlands, vernal pools and forested trails of the Thorne Head Preserve. Some of the national acts gracing the Chocolate Church Performing Arts Center would qualify as a splurge, but there’s an eclectic slate of local and regional talent starting at $12 a show. The peninsulas jutting south below Bath boast serene Atlantic shores, including those in Reid and Popham Beach state parks, along with the yes-you-must Five Islands Lobster Co., a wharf-side shack on the Sheepscot River. For more local eats, browse the Bath farmers market, 8:30 a.m. to noon Saturdays in Waterfront Park. For more information, go to visitbath.com. Morro Bay, CaliforniaYes, you can still unearth budget nuggets in California. Morro Bay fronts a nearly three-mile arc of sand on the state’s Central Coast and features a suite of free attractions, starting with Morro Rock, a 576-foot tall extinct volcano at the mouth of the town harbor and continuing to the Morro Bay National Estuary, 2,300 acres of water and tidal areas that are home to hundreds of animal and plant species. Rad shredders can drop into Morro Bay Skateboard Museum to take in the 80-year (and counting) history of the sport or, for those with a BMX or mountain bike, spin some dirt at the Morro Bay Bike Park. For less kinetic entertainment, self-tour the Mural Mile, a sequence of 23 murals throughout the still-funky downtown and the waterfront area, themed on the town’s history and strong maritime connections. Legions of whales transit Morro Bay – humpbacks May to October and gray whales November to April – and several companies run tours for about $45 per adult, with discounts for seniors, students and children. For more information, go to morrobay.org.